Ahead of our sold-out Design Awards this coming Thursday, September 13, in Fade Street Social, we look back on a busy year and an intense judging process, as we celebrate Ireland’s top creative talent. Fascinating and torturous in equal measure, selecting this year’s Image Interiors & Living Design Awards shortlist took place on a sunny summer’s morning at IMAGE HQ. Fuelled by good coffee and plenty of flaky pastries, the process was fascinating because the nominations, from both readers and judges, brought new insights into the brilliant designers, makers and collectives working in Ireland today. And it’s heartbreaking because of that too. Everyone had a favourite who didn’t make it to the final shortlist. It’s an exciting time in Irish design, and after much healthy debate, here’s our shortlist of this year’s best and brightest. BEST FABRIC From tradition to innovation, this is always a hotly contested category. 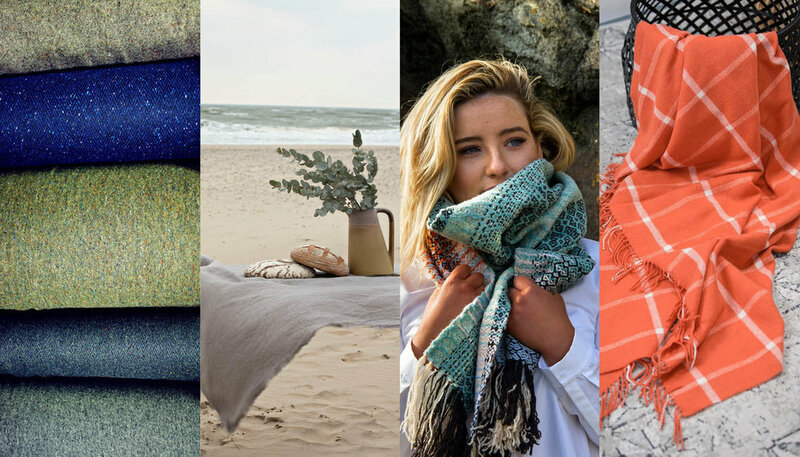 We love what Foxford have been doing over the decades, and were impressed with their new Indigo, Ethnic and Feel Green contemporary throws. Meanwhile, Irish linen designer Kathryn Davey continued to inspire with her plant-based dyes, and the honest, natural and minimalist quality of her work. Pieces from Deirdre Duffy of Wild Cocoon was described by one judge as “stop-you-in-your-tracks excellent”, while Donegal master weaver, Eddie Doherty, reminded us why he’s an international favourite who has made fabrics for Armani, Burberry, Ralph Lauren, and our Jan/Feb cover star Breac House. BEST TABLEWARE A lively discussion about whether you really would use some of the gorgeous things we were looking at for serving dinner, led to a shortlist of Lucinda Robertson for her luminescent glassware. She is joined by Aisling McElwain for her simple and elegant Slate ceramics that already have the look of timeless classics. Next is Rosemarie Durr whose buttermilk stackable range has longevity and practicality written all over it. Lastly, Rebecca Killen’s witty works complete the list. Her range of bone bottles, based on old pharmacy and milk bottles is getting the next generation excited about ceramics. BEST COLLECTORS’ PIECES What makes something a collectors’ piece? Can it be something you’d use every day? With more coffee and sighs of lust, we looked through the nominees before settling quickly on Sara Flynn, whose career as a ceramist and sculptor is truly flying. Likewise, Sheffield-based Dubliner Cóilín Ó Dubhghaill is doing things with metal you wouldn’t believe; the judges loved how he’s making a traditional form entirely his own. Elsewhere, Frances Lambe’s work bridges that gap between art and craft. Her glorious pieces, many inspired by her passion for the sea, almost seem to make ceramic live and breathe. 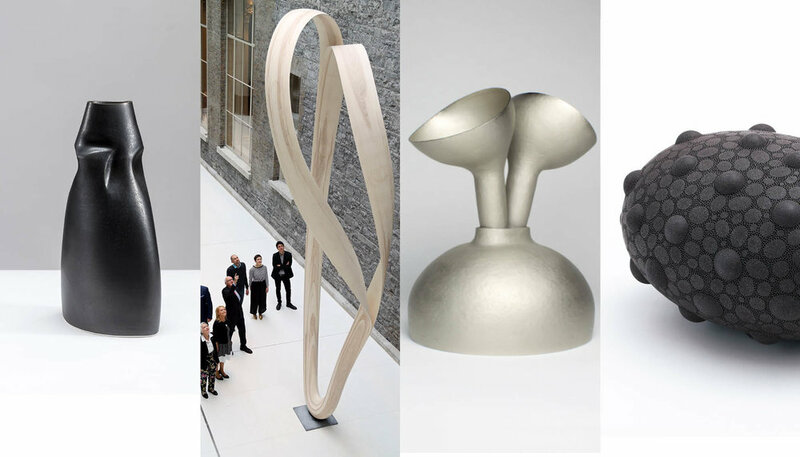 Concluding the list is Joseph Walsh, not only because he innovates with his almost-impossible conjurings in wood, resin and Irish marble, but he is becoming steadily more and more influential in the work of emerging designers. Magnus Modus, his huge piece for the newly re-opened National Gallery in Dublin last year, was a literal high point. HOME PRODUCT OF THE YEAR It’s amazing to think of designers out there, solving problems that may have been niggling at us for years: such as why are baby cots often so cumbersome, short-lived and unattractive? Enter the Bababou Hugg Crib. Made to order in Donegal, it is elegant and stylish, and converts to a desk for later life. Jennifer Slattery also makes the shortlist for trays that you’ll want to use again and again, trapping her linen designs in birch wood. 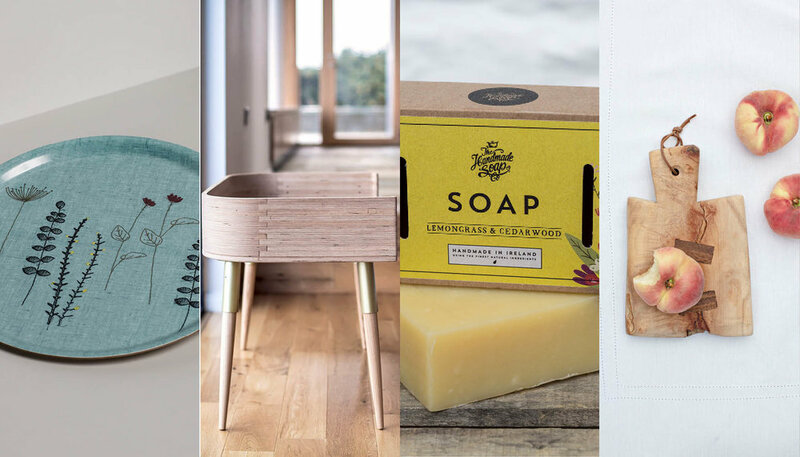 The Handmade Soap Company’s Lemongrass & Cedarwood Soap gets the nod, because it’s simply delicious and the packaging is a beauty, while Two Wooden Horses concludes the list with their kids’ breakfast boards made from repurposed pitch pine. It’s a new lease of life for old wood, and kids love to see their names stamped into the board. FURNITURE DESIGNER OF THE YEAR There’s interesting work, and then there’s work that rocks your world, so you’re making room in your mind (and home) for a new table or sofa before you’ve even thought about the idea of needing one. 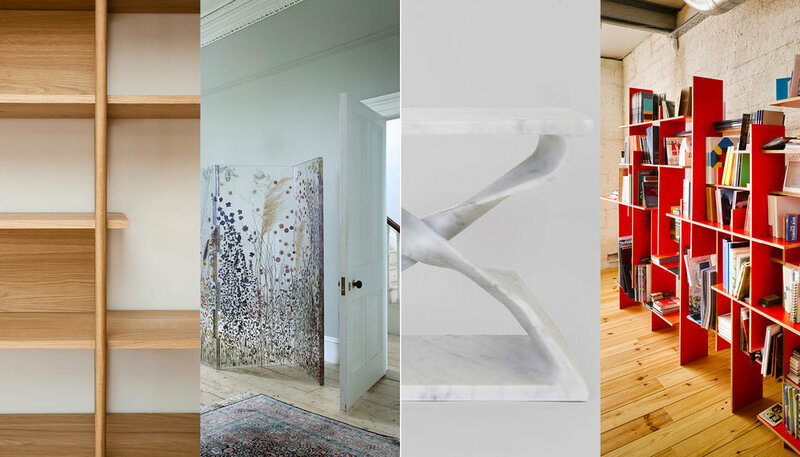 You think you’ve seen it all in furniture, but once you see Carol Egan’s wonderfully twisted pieces (particularly her most recent in marble), it’s easy to understand why this Manhattan-based Irish designer is gathering a major following. Next is Sasha Sykes for her resin furniture that catches Irish flowers and fronds elegantly in space and time. Tom Maher gets plaudits for his 8X4 “simply complicated” bookcase, designed with Eamon Peregrine; a freestanding piece, its interlocking planks mean there’s absolutely no waste in its making. Lastly, Dublin-based Simon Doyle makes wooden pieces that are simple and contemporary, yet rich with tradition. BEST COLLABORATION Magic happens when people work together, as the creative energies of each make something entirely new. 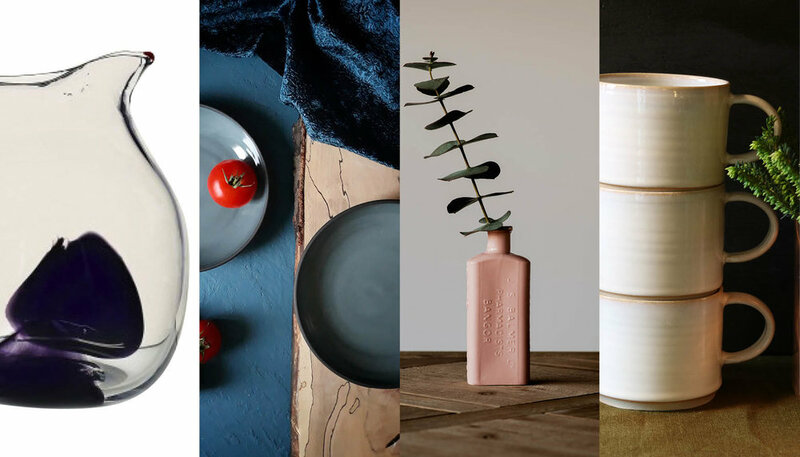 First up is the Irish Design Shop, whose Áras collection has brought forth new, highly wantable work from Fergus O’Neill, Alljoy Design, Helen Faulkner and more. Over on Dublin’s Dawson Street, Deirdre MacNally of Optica has been working with designers on a whole new Wolfhound range for their shop interiors, and Ryan Connolly’s stools are just the beginning. What about a collaboration you can sleep with? Breac House in Donegal have worked with a host of Irish makers including Eddie Doherty, Tricia Harris and Simon O’Driscoll to make this a truly Irish hideaway. Rug makers Ceadogán inspire every year with their collaborations, and this year, we’re celebrating their work with Jenny Maslen: rich Atlantic-inspired wool rugs that seem to jump right out of the Irish landscape. INTERIOR DESIGNER OF THE YEAR Getting a designer in to “do” your whole house might seem like an indulgence for most, or you might prefer to do the whole thing yourself regardless, but good interior designers are a huge influence on us. And when it comes to influential, O’Donnell O’Neill have a further reach than many, as they’re the team behind many of our most glamorous watering holes, including The Stella, The Dean Hotel, and Wilde at The Westbury. Roisin Lafferty continues to experiment in new materials, while striving to work differently with standard materials to create unique spaces for her clients. Elsewhere, Mary Jane Russell has a magic touch for bringing Irish period homes back to life with contemporary flourishes, making sure our built heritage never goes out of style. Concluding the shortlist, Irish designer Bryan O’Sullivan has a client list that would be the envy of many. His style is exuberantly restrained, with a keen eye for beauty that really makes it sing. 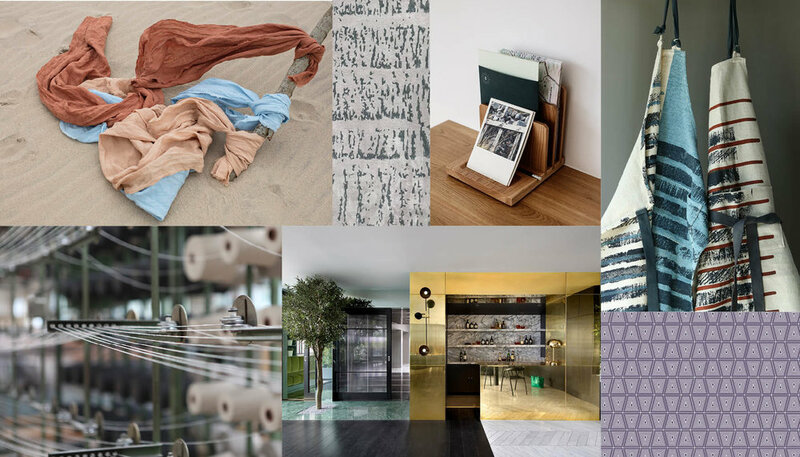 EMERGING DESIGN TALENT It’s exciting to see new voices emerge each year, and wonder how the work will develop, as well as who will stay the course. This year our shout-outs go to Concrete Forest for continuously trialling new forms; Katrin Maier for nature-inspired ceramic pieces we all wanted to own; Fiona White for combining her love of food with her love of textiles to make tea towels and aprons that would drag you back into the kitchen; and Raychel Murphy for her witty embroidered pieces. This was a tough category to select, with so much fresh thinking across disciplines on the longlist. INTERIORS INSTAGRAMMER OF THE YEAR Inspirational, idealist, impossibly perfect? All may be true of Instagram, but our nominees give us pause for interiors thought. 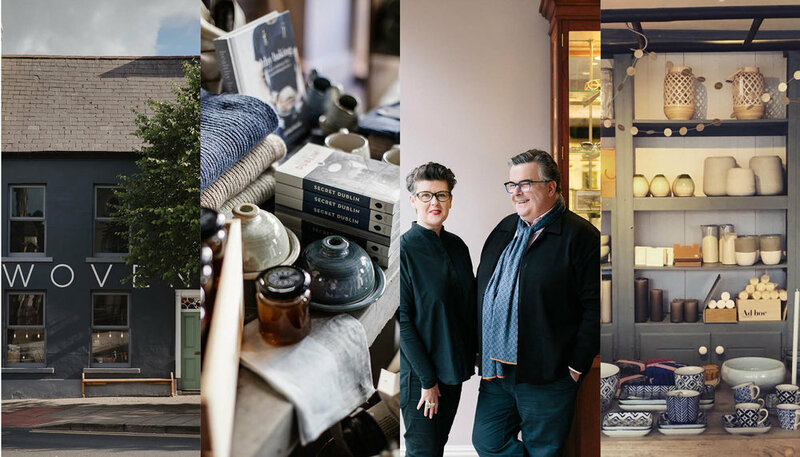 @ruthmariaphotos cleverly flows colour with an impeccable eye for detail; @roisinlaffertykld mingles design projects and travel; we followed @oldvictoriannew’s renovation like a soap opera; while @northdesign.ie are appreciated for their mix of industry best, as well as their own projects. We look forward to welcoming all of our nominees and guests for the 2018 Image Interiors & Living Design Awards on Thursday, September 13. We'll be announcing all the winners live from our Instagram on the day so stay tuned.